Virtualization is one of the core assets of today’s data center infrastructure. The benefits and capabilities of virtualization are driving organizations towards virtualization technologies. Virtualization offers efficient utilization of hardware; we can isolate workloads by designating multiple virtual servers on the same hardware. Organizations are moving to the cloud for hosting their application services. Any business application requires an operating system to run its services and for efficient utilization of hardware virtualization is used to divide a physical server into multiple virtual servers. Virtualization has a major role in cloud services. Multiple virtualization technologies are currently available in the market. Each operating system has its own virtualization technology and there are companies that offer bare-metal virtualization services; to name a few, VMware, Xen and OracleVM. In this article, we will discuss Linux Containers (LXC) and Dockers, and how these technologies can help us isolate enterprise workloads. Linux containers are a built-in, lightweight virtualization technology provides the ability to run multiple isolated Linux virtual machines on a single server. The major benefit of Linux containers is that they let you run the full copy of Linux operating system inside a system container without the overhead of a level-2 hypervisor such as VMware. 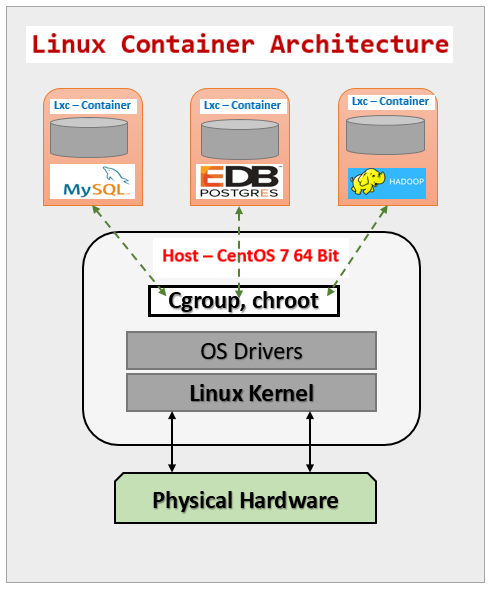 Linux containers share the kernel with the host and hence all files and processes from containers are visible to the host. However, there are certain limitations with respect to modules/drivers inside the containers. The core components of Linux containers is “cgroup”(control groups) and “namespace”. cgroup has capabilities for partitioning/dividing the system resources that can be assigned to containers based on business requirements. In this article, we are not going to deep-dive about container technology. I’ll simply provide a brief introduction to Linux containers and how we can use them in our real-world environments. This article will illustrate how we can configure the Linux container and install Enterprise DB PostgreSQL inside a Linux container. If any one of the above rpm’s is not available then we must install it. Here in our case, “btrfs” & “lxc” are missing. We should also install templates for Linux containers; there are preconfigured container templates available for various operating systems. In this article we will use the CentOS template. Once the packages are installed, we should verify the Linux container service. We can use the “systemctl” command from super user to verify the container service. By default, after installation the container service will be started. If it does not start automatically, we should enable the service and start it manually. Aug 21 14:14:24 localhost.localdomain systemd: Started Virtualization daemon. The service “libvirtd” is up and running. This service is responsible for communicating with the host kernel. 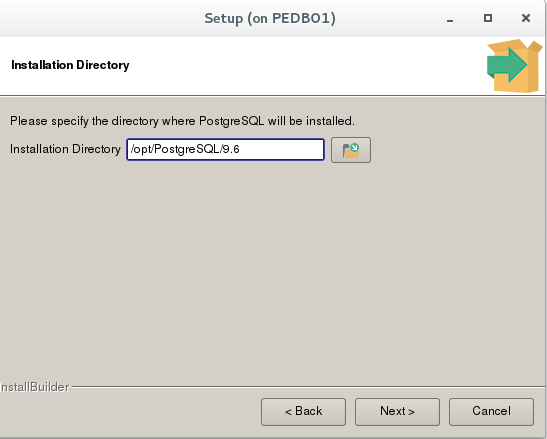 In this section we will see how to create a simple container based on that CentOS template, and later in this article we will see how we can install EDB PostgreSQL inside this container. 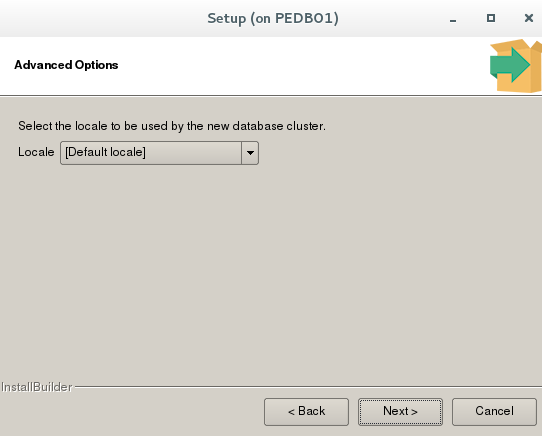 We will create our Linux container with name PEDB01. drwxr-xr-x. 2 root root 4.0K Aug 21 14:36 .
drwxr-xr-x. 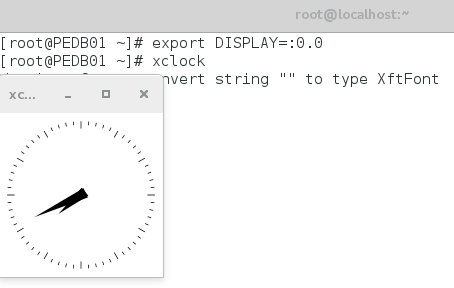 6 root root  106 Aug 21 14:12 ..
We will use the “lxc-centos” template in this demonstration. Once the container is created it will create a temporary password for root; this password will be stored in the file “/var/lib/lxc/PEDB01/tmp_root_pass”. You will be prompted to change the password at first login. Once logged in we should verify that the container is working well without any issues. If there are no issues reported in the logs, we are ready to prepre for EDB Postgres installation. 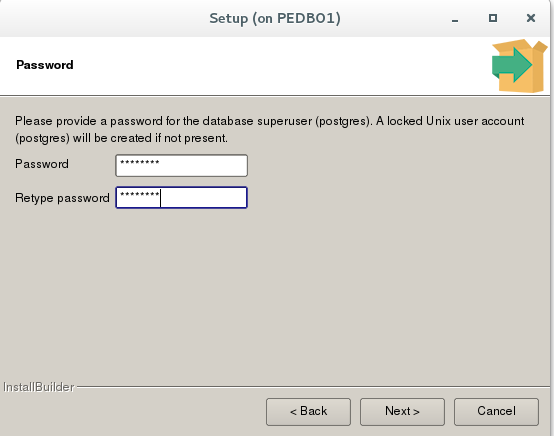 We must ensure that the container PEDB01 is stopping and starting without any issues before installing the database. We can use commands lxc-stop and lxc-start for the stopping and starting of containers. EDB supports command line and GUI installation. We will be using the graphical interactive installer for installation of the database. Set selinux to be Permissive; if it’s set to Enforcing, the installation will fail. In our demo it’s already disabled so no action is needed. Once the installation is completed, you can revert it back to Enforcing. 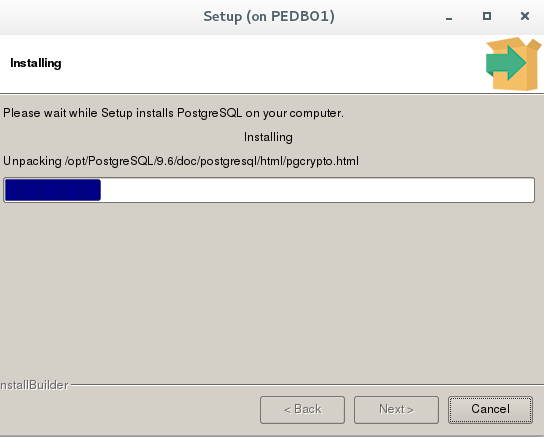 GUI interactive installation of EDB PostgreSQL needs the “redhat-lsb” rpm installed for the GUI-based windows to work. If the yum repository is already configured then we can simply install this package using a yum command. xhost is also required for running gui windows. Make sure its already installed inside container. by hand (maybe package-cleanup can help). By default, the GUI will not work inside the Linux container; some additional configuration is required for the GUI-based windows to work inside the containers. Add the following lines in the PEDB01 config file for the display to work. #        Note: This may potentially collide with other containers of same name! After editing this file, we should restart the container. We cannot directly copy media from outside into the container; we should first copy the media to the host server and from there we can copy the media to the container PEDB01. The container root filesystem will be located under “/var/lib/lxc/<container>/rootfs/”. [root@localhost sw_home]# cp -pr /run/media/root/EDB_96_Linux64/postgresql-9.6.4-1-linux-x64.run  . We have copied the software to PEDB01 “/mnt/sw_home” directory from the host media. Once the preparation has completed successfully, we are ready to start the installation. Follow the GUI screens to complete the installation. 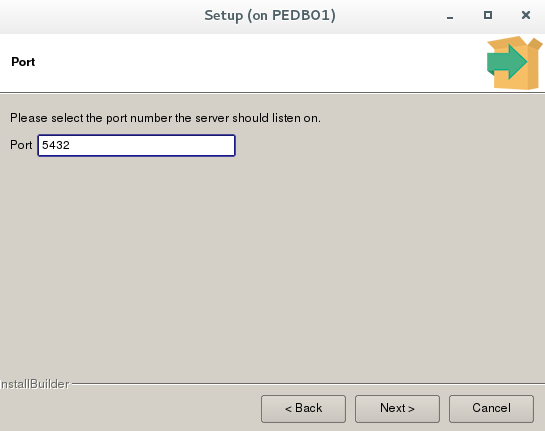 We should provide the communication port for the database: by default, the community version will listen on port 5432. As shown below, the setup is ready to proceed with installation. 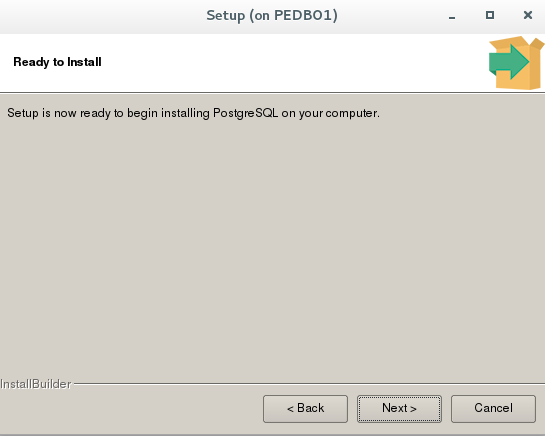 Installation of PostgreSQL completed successfully, as shown below. We can launch “stack builder” from this window if any additional software needs to be installed, such as PEM, Migration toolkit, etc. otherwise, just uncheck the stack builder to close the installer. 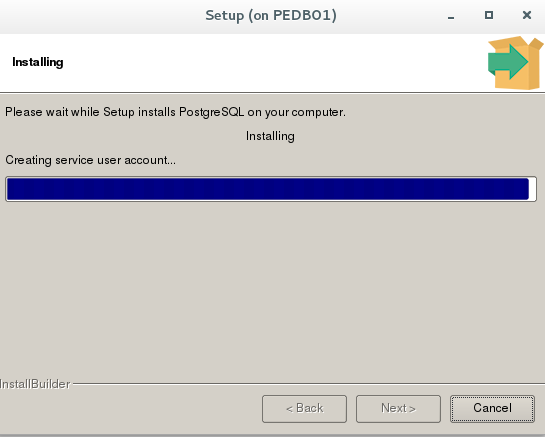 The Installation of PostgreSQL completed successfully. 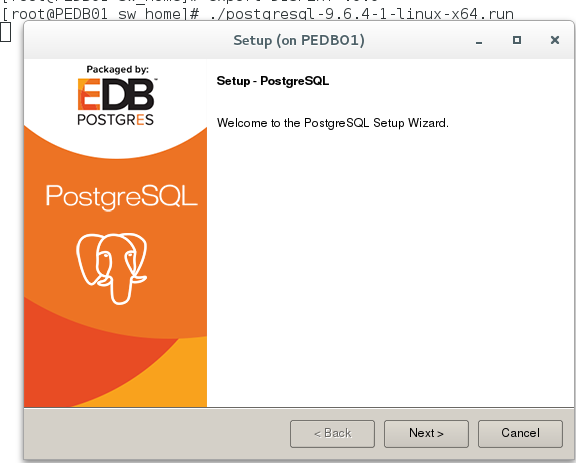 In this article, we have shown the installation of PostgreSQL packaged by EnterpriseDB. The Installation of PostgrePlus Advanced Server (PPAS) is identical; however, we need to provide product keys while installing PPAS. Invalid command \. Try \? for help. In this article we discussed the built-in virtualization technology available in Linux operating systems. This article demonstrated using the open source CentOS flavor of Linux. Linux container (LXC) is available and supported by most of the enterprise Linux vendors. We have seen how easy and simple it is to deploy a Linux container. 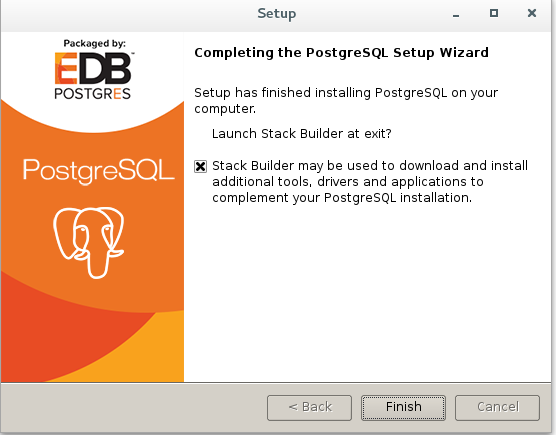 We have also seen how we can install the PostgreSQL database inside the Linux container. Linux containers are lightweight virtual machines that can help organizations to isolate databases and applications workload that are existing on the same physical hosts. Linux container is a best suit for creating the Development and Testing environments. This article covers the creation of a Linux container and installation of PostgreSQL inside the Linux container. In future articles, we will see how we can communicate between one databases and another database/application running in another Linux container.